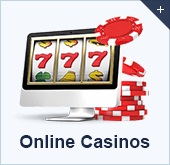 Gearing up to play online gambling games? Read what we have to say first. Our top 10 tips could make a big difference to your bankroll and your overall enjoyment as you play the best Canadian internet casino games. Most online casino sites will let you play free slots and table games, among other gambling games, before moving on to real money. You can use this opportunity to get a feel for the site and software before moving on to real money play. 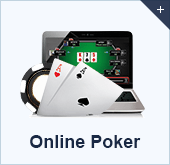 With such a wide range of internet casinos to choose from, there is no point playing somewhere where you don't feel comfortable. Once you have found a site you can trust (and don&apos;t be afraid to try multiple sites before making this decision) your online casino experience will naturally be much better. There are some online casinos out there that seem great at first, until you come across one that is built for Canadians and you realise what you were missing before. Canadian online casino sites often have benefits like a Canadian support number and Canada-friendly hours for casino tournaments. This might seem obvious, but there are actually some Canadian online casino players who start out playing certain casino games without fully understanding the rules and inevitably end up losing money. 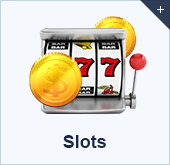 You should have no difficulty simple, easy to understand guides to the best casino games out there, so when you start playing for real money you will give yourself the best possible chance of success. Many internet casino sites, even those accepting Canadian players, will have other currencies like US Dollars or Euros as standard. If you're not careful then you could be hit by exchange rates when depositing using a Canadian credit card, so stay on the lookout for sites that let you deposit in Loonies. 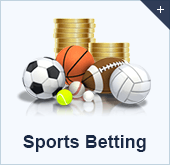 Everyone likes free money, and players from across Canada can enjoy Canadian deposit bonuses when making a real money deposit with an online casino. Sometimes these will be unlockable over time, and on some rare occasions they will take the form of no-strings-attached cash, but in many circumstances you are passing up on free cash if you don't take advantage of a bonus. One of the biggest mistakes beginners make when playing at online casino sites is risking too much of their budget at once. Read up on bankroll management and get a good idea of how much of your budget you should have on the table at any one time. Soon enough you'll realise your money lasts a whole lot longer. As well as budgeting your money, it can be beneficial to budget your time. If you've been playing for several-hour stints then you might not be your most focused, and this can lead to you struggling to play your best. You can play perfectly and still get unlucky, that's just the way of casino games where luck is always a factor. However you should try not to let this affect you mentally, and one of the best ways to do this is take a break, then come back later and see if your luck has changed, rather than chasing losses and playing beyond your means.